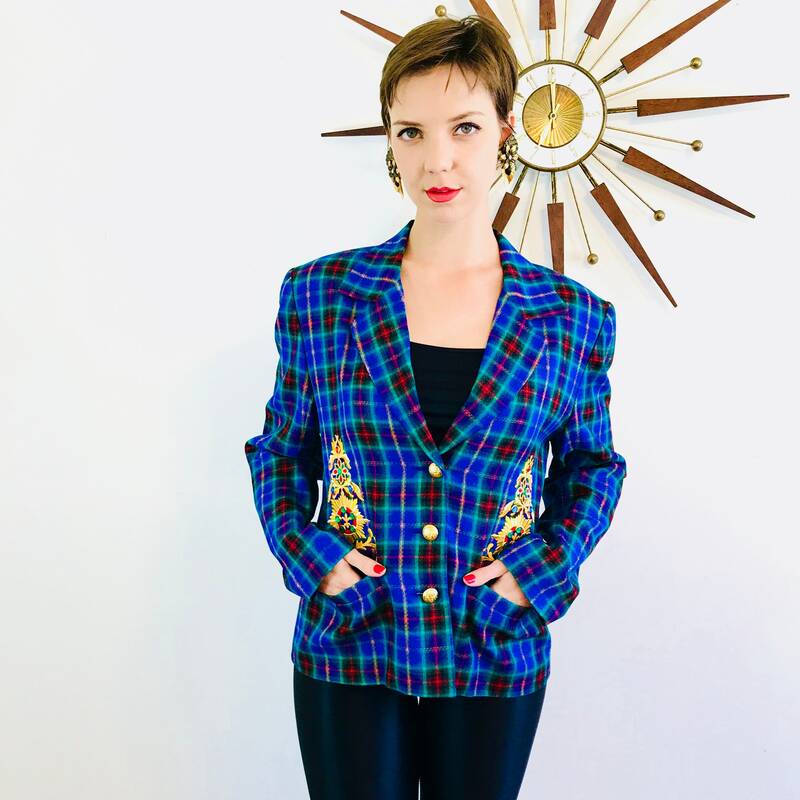 This is such an awesome 1990s blazer! 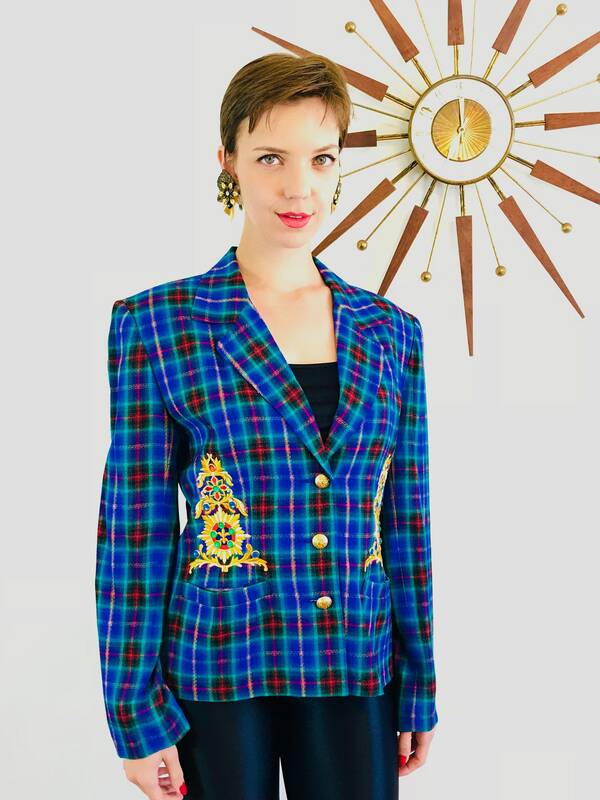 Check out the amazing gold metallic applique with set rhinestone cabochon gems on this vintage women's jacket! 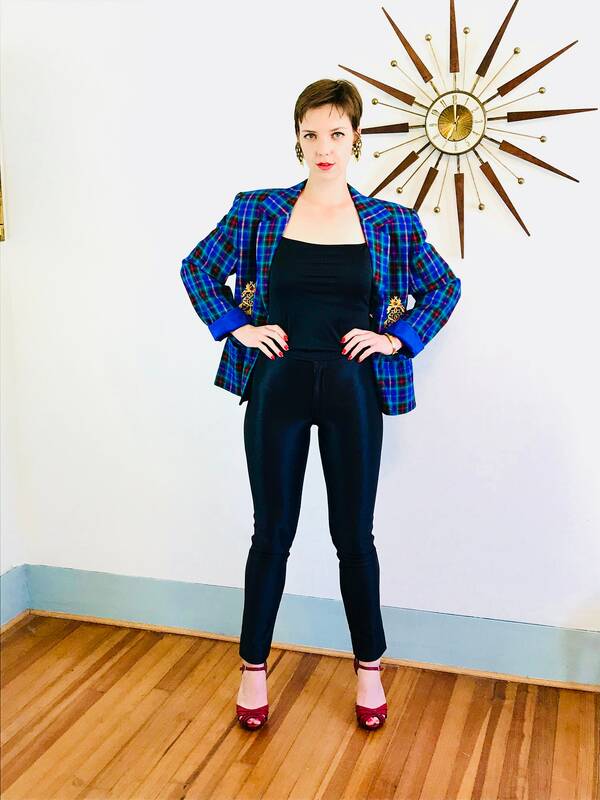 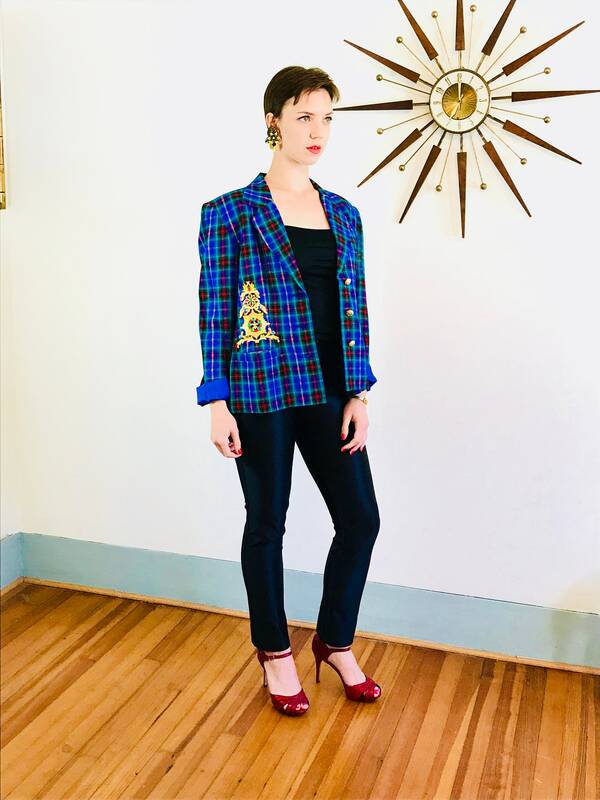 This rad ladies blazer is made by iB Diffuson in 1993. 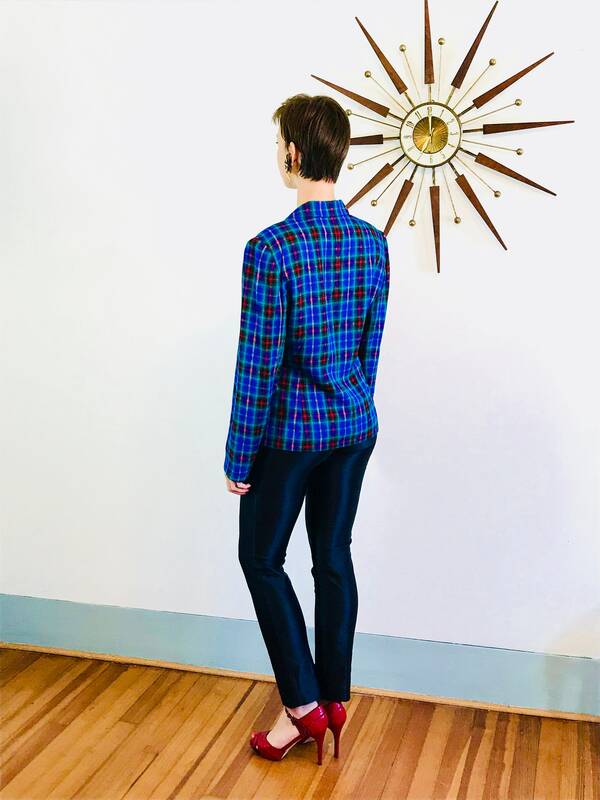 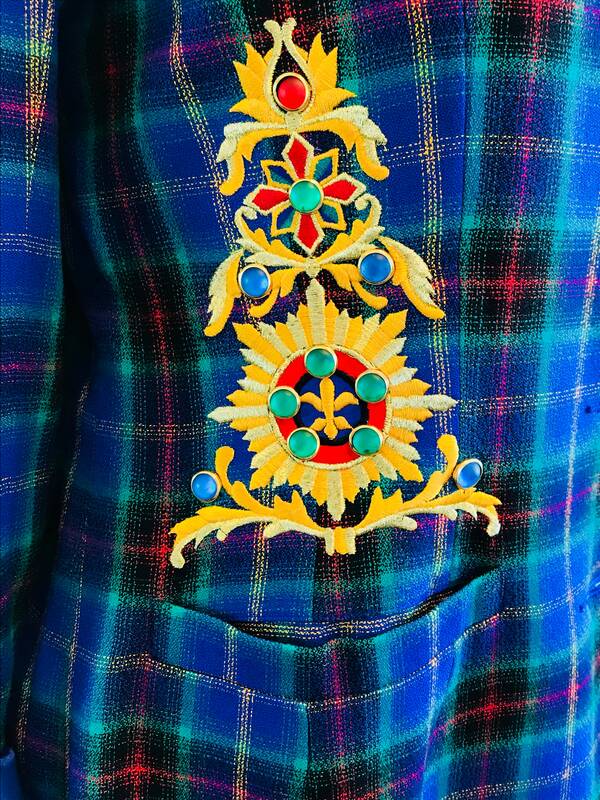 This boxy 90s jacket has a bright plaid pattern in royal blue, aqua, red, gold and black! 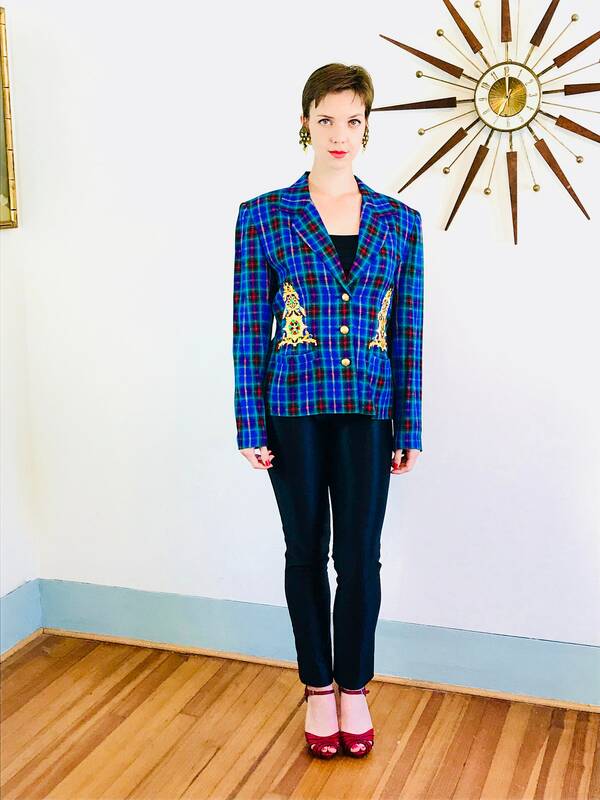 This cool, boyfriend cut blazer has big shoulder pads, two front pockets, three buttons. 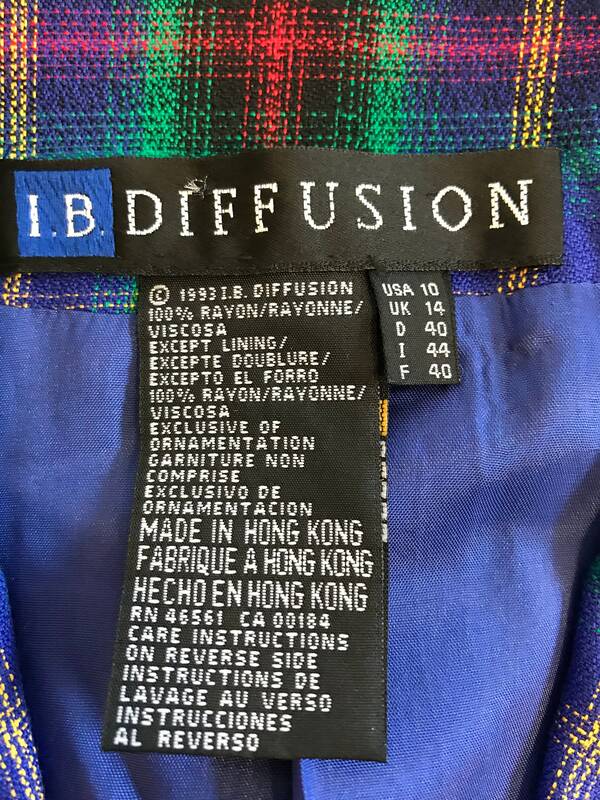 Material: Rayon shell, Satin lining.